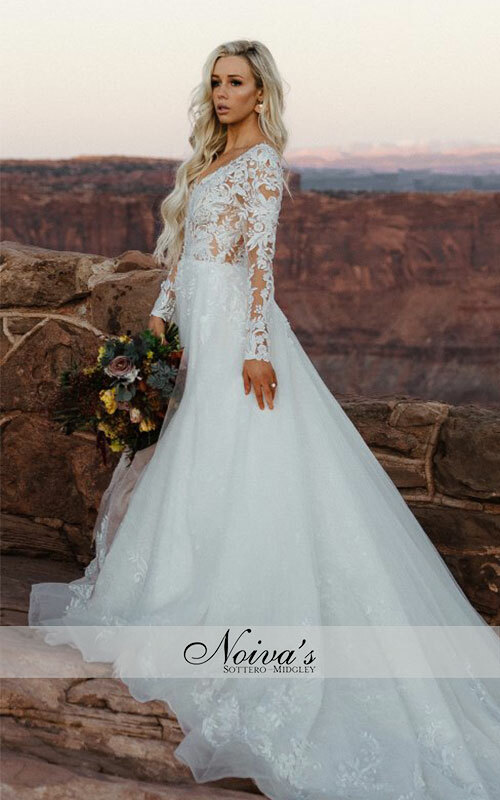 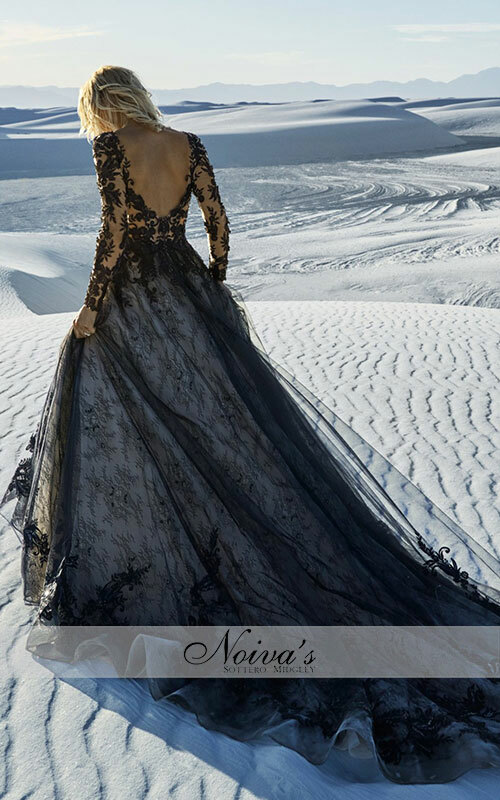 A breathtaking choice for the unconventional bride, this wedding dress features contrasting layers of tulle, lace motifs, and Chantilly lace. 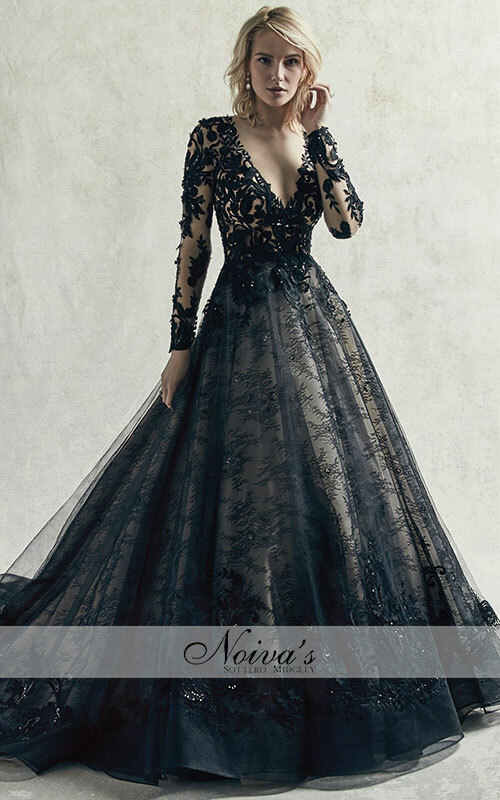 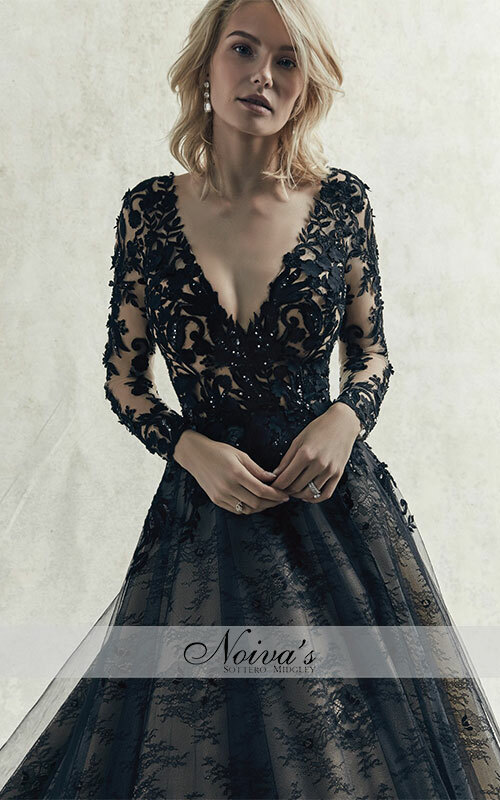 The sheer bodice features illusion long sleeves, a plunging V-neckline, and scoop back, all accented in 3D floral lace motifs. 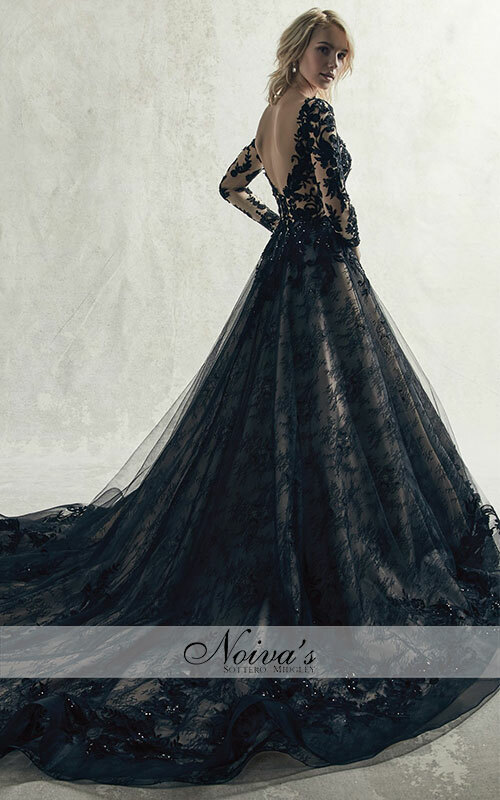 Hemline trimmed in horsehair, completing the tulle ballgown skirt. 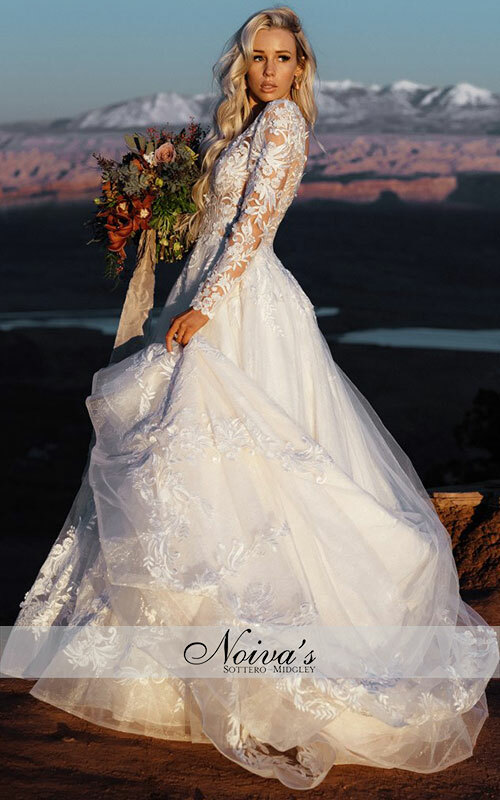 Maggie Sottero exclusively at Noiva’s Boutiques.